WE currently makes a SCAR-L GBBR, but they still do not have a GBB SCAR-H. After searching through the web I found some interesting discussion about this on some other forums. Here is one I found (I didn't bookmark the other, but it was basically the same). 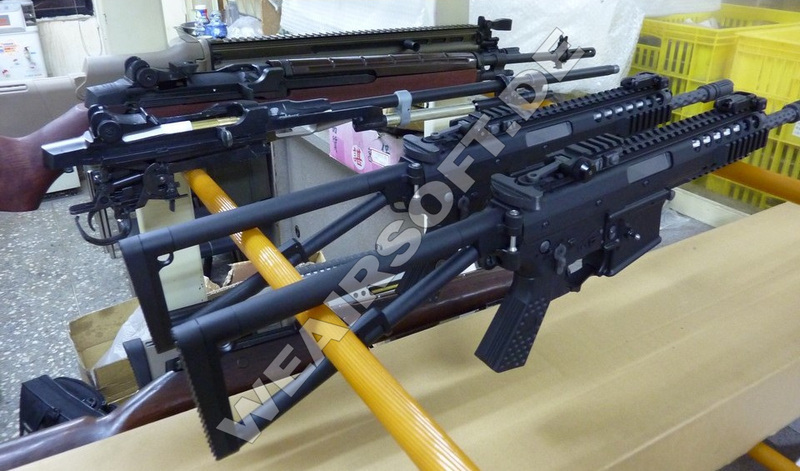 If you scroll down you will see a suspected picture of a GBB SCAR-H in the testing stages. Members on that forum also claimed that WE confirmed it was a SCAR-H. On another forum I saw basically the same discussion saying that WE was producing one. This thread was also brought up before WE had made their GBB M-14, and they were discussing that too, and it is out now, but still no SCAR-H. Does anybody have any information on it? I was going to buy a SCAR-H AEG but if there was a GBBR version of one I would definitely buy that instead. In their christmas video last year they showed a mag well that was for converting an L to a H ... not heard *suitcase* since. This definitely belongs in General Discussion. You had my hopes up for a while.